Moses Maimonides was an important medieval Jewish scholar, sometimes referred to as the “second Moses” by his followers. 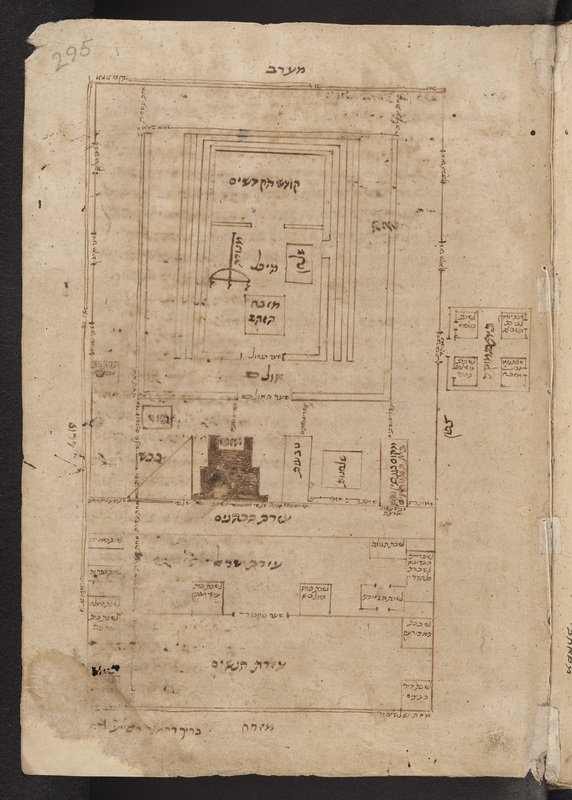 While living in Egypt after a visit to the Holy Land, Maimonides completed a monumental commentary on the Mishnah (a collection of ancient Jewish law), in which he provided a number of different diagrams of the Temple. The Temple plan here is one of these diagrams. Unlike his predecessor Rashi, whose diagram of the holy land and and plan of the long-destroyed Temple were derived from the description in Ezekiel 40–48, Maimonides relied on the account of the Temple's architecture given in the Mishnah. The west side of the Temple complex appears at the top of the diagram, with east at the bottom. As the eye travels up the page, the first section depicts the women’s area, followed by the the men’s area, and then the priests' area. At the centre of the page, the dark brown stepped shape is the sacrificial alter. Above this are another series of chambers, including the the menorah, represented as a single line, and the Holy of Holies. For Maimonides, Jerusalem was an eternally sacred space filled with the Divine Presence. 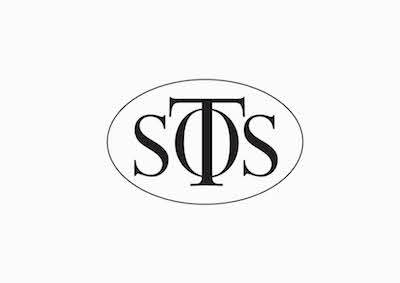 Although the Temple had been destroyed, the land where it had once stood remained deeply spiritually significant. Nevertheless, Maimonides' map is quite different from other maps of Jerusalem from the Middle Ages, in that he is concerned only to depict the complex layout of the building, as described in Middoth. His work is an attempt to grasp at the reality of the Temple as it once stood, rather than to embellish it with features from the imagination.